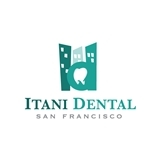 Itani Dental San Francisco (San Francisco) - Book Appointment Online! WELCOME TO ITANI DENTAL Our office provides dental services for the San Francisco Bay Area. We specialize in special care dentistry, home care dentistry, treatment of phobic and senior patients, 24-hour emergency dentistry, as well as dental implant & cosmetic dentistry. Based in downtown San Francisco and serving the entire bay area, Dr. Itani provides a personalized, compassionate approach to dentistry. Our practice offers a full range of individualized dental services—from regular cleaning to cosmetic veneers, Invisalign and dental implants. We have more than a decade of experience working with phobic, medically compromised, special needs, disabled and senior patients, and offer a full array of sedation dentistry options. We work with patients on an emergency basis, and provide house call dentistry services to your home, group home, assisted living facility, or center.